I recently used my Groupon for a 5 hour raw food cooking class at Leaf Organics in Culver City. The class was enlightening and has encouraged me to introduce more raw food into my diet. 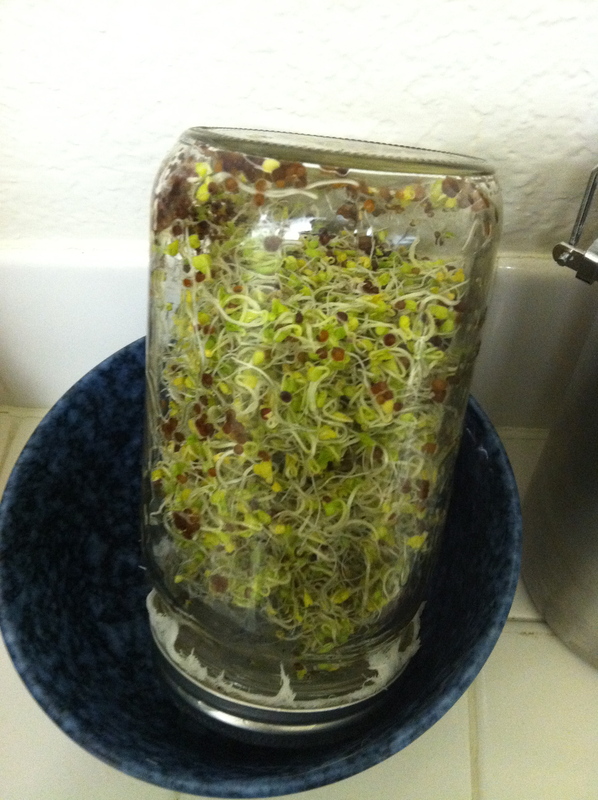 Added bonus, sprouting is a major aspect to preparing raw food. This is super since I just learned how to do it and it is extremely easy. The overarching idea behind eating raw is that when food is heated above 116 degrees, the nutritional value and enzymes are destroyed. How does preserving the “life force” of raw food benefit you and your body? Would you like to grow your own food? Do you have little space or limited light sources? Do you have time constraints? Would you like to save money? Do you feel like this is an infomercial? If you answered a combination of yes or no to any of these questions, then sprouting is for you. Genetically Modified Organism (GMO): organism whose genetic material has been altered using genetic engineering techniques. The more about I learn about GMOs, the more I seek out foods not containing GMOs. Here are a few reasons you should be concerned about GMOs. According to the USDA, as of 2011 94% of soy bean and 72% of corn production in the US is GMO.